Fontconfig only provides a limited number of generic aliases. empty font and a set of fontconfig rules. the previous defined rules for Ray Song is no longer used. it will also fall back to "DejaVu Serif Book". 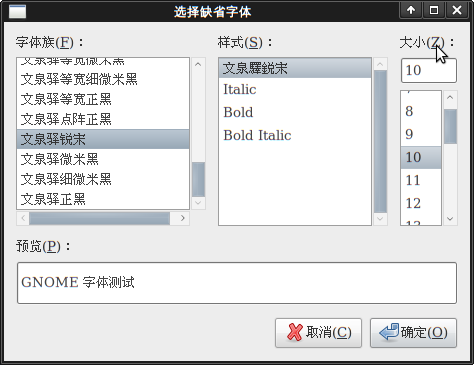 dialog is able to use "WenQuanYi Ray Song" as the font name.